There are many options available for straightening your teeth, but none offers the level of comfort, convenience and confidence that you'll find with Invisalign®. Invisalign® takes a modern approach to straightening teeth, using a custom-made series of aligners created for you and only you. These aligner trays are made of smooth, comfortable and virtually invisible plastic that you wear over your teeth. Wearing the aligners will gradually and gently shift your teeth into place. Invisalign® works by popping in a new set of aligners approximately every two weeks, until your treatment is complete. You can start the journey to a perfect smile by scheduling an appointment at Murray Hill. After weâ€™ve established that Invisalign braces are right for you, Dr. Brown will create a customized treatment plan based on X-rays and impressions of your mouth. Using digital images of your teeth, weâ€™ll be able to show how your teeth will move at each stage of Invisalign treatment. Using the digital images of your teeth we can project how long Invisalign treatment will take. For adults, Invisalign treatment typically lasts a year. For teens, the treatment typically lasts the same amount of time as braces, and depends on the original assessment. 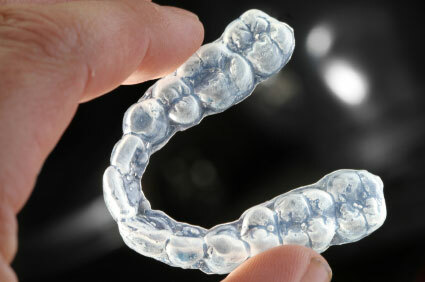 For best results Invisalign should be worn 20-22 hours per day. The aligners should only be removed for eating, cleaning, and playing sports. If you think Invisalign is the right treatment to help get your smile back, contact or Westerville or West Columbus offices today to schedule an appointment!